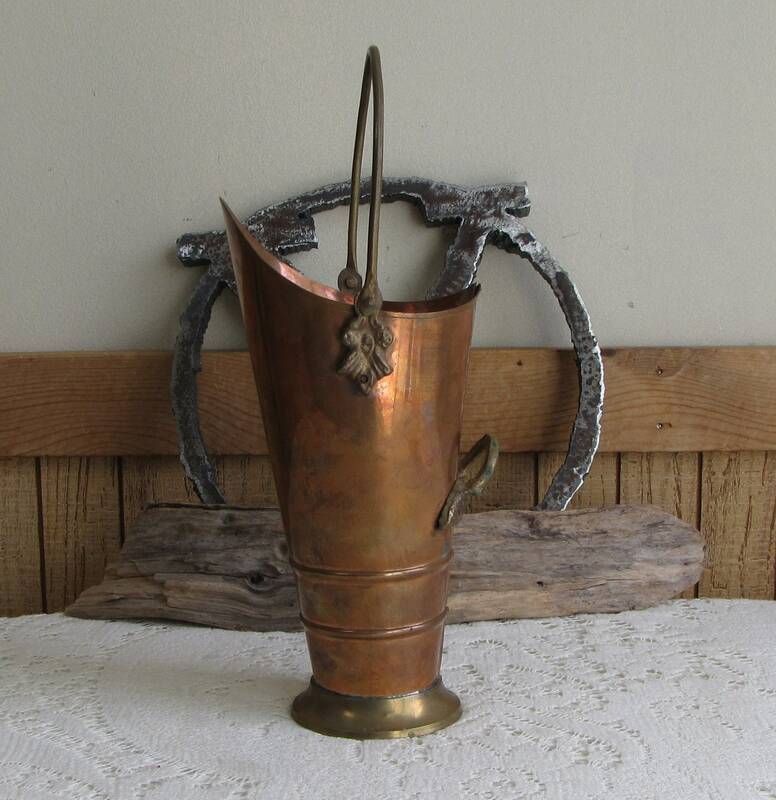 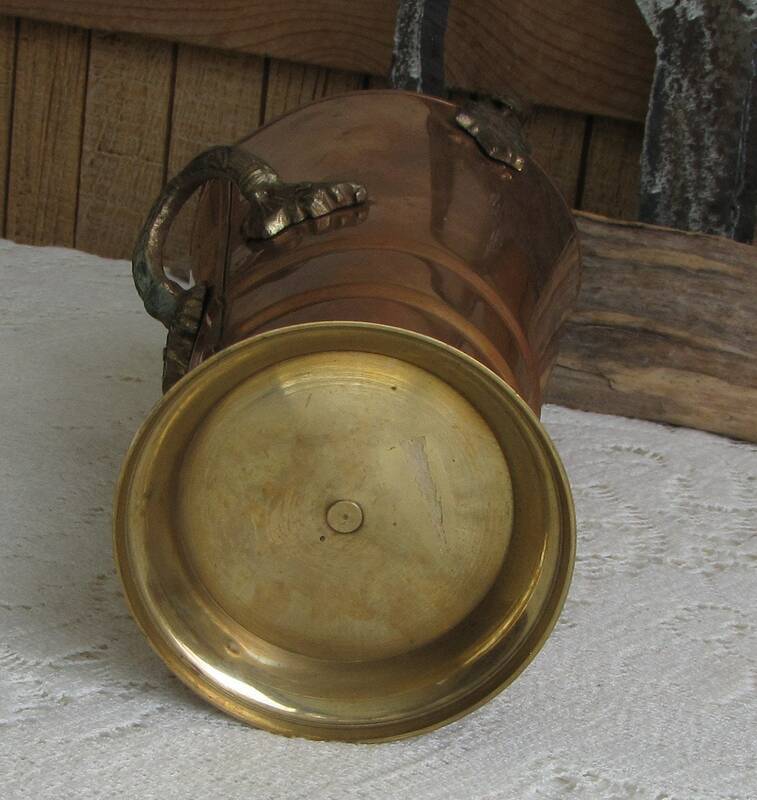 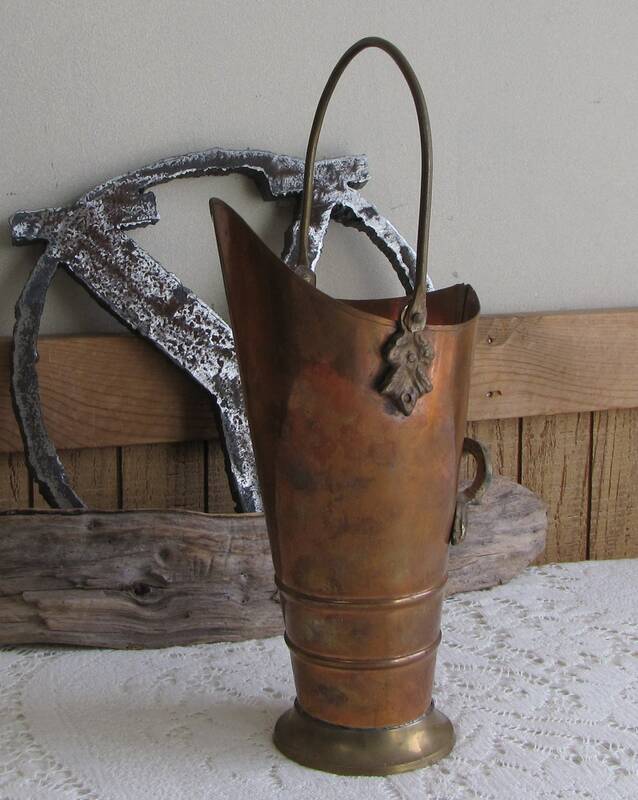 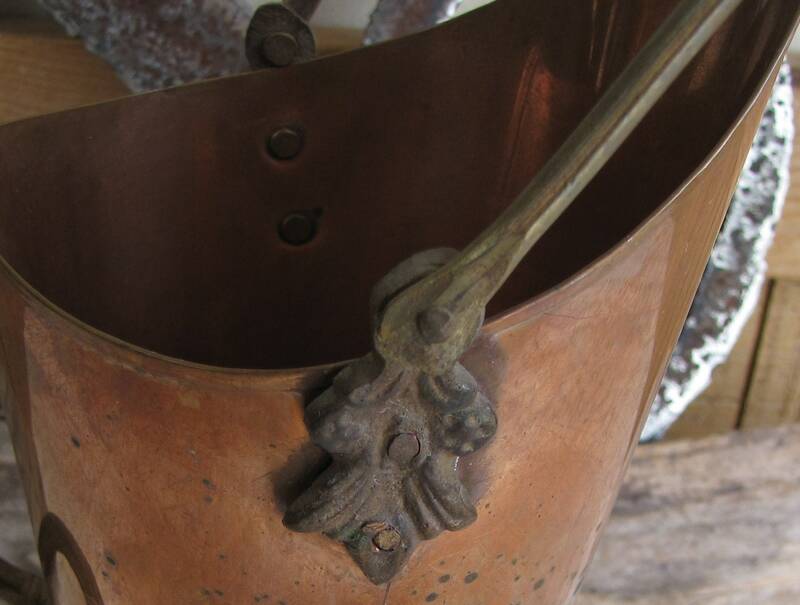 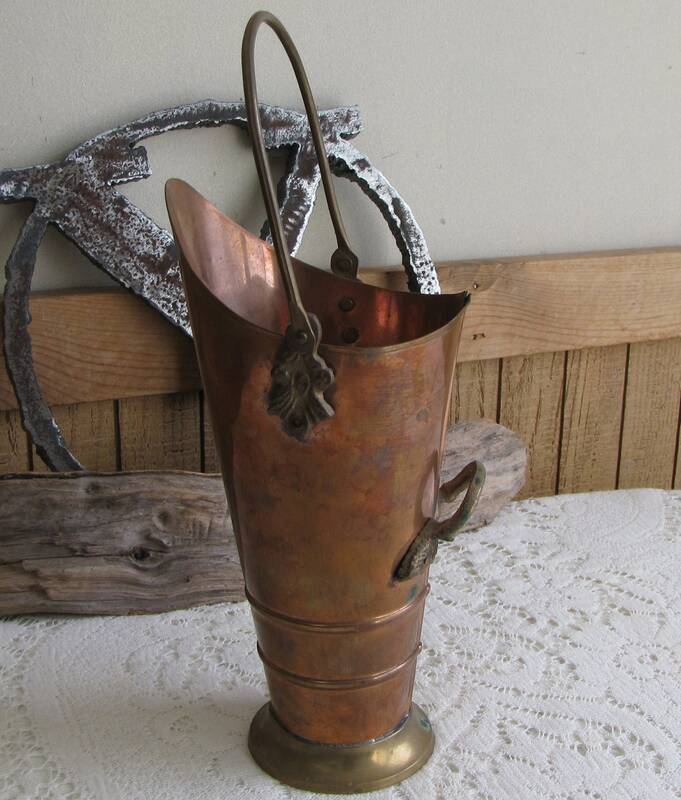 A copper coal scuttle that is in very good vintage condition; no rust or dents. 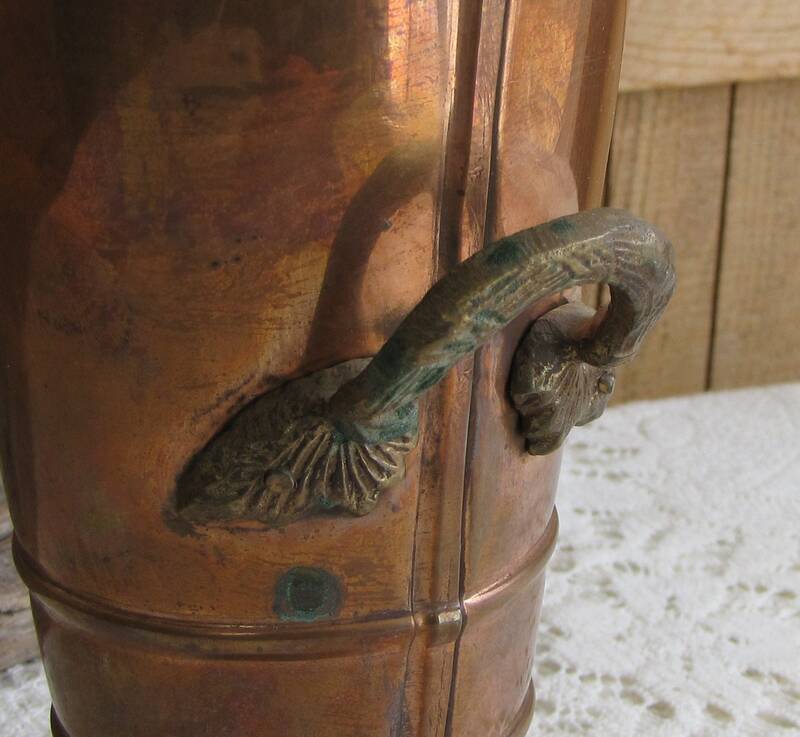 The scuttle measures 9 inches to the spout and 12 inches with the handle up. 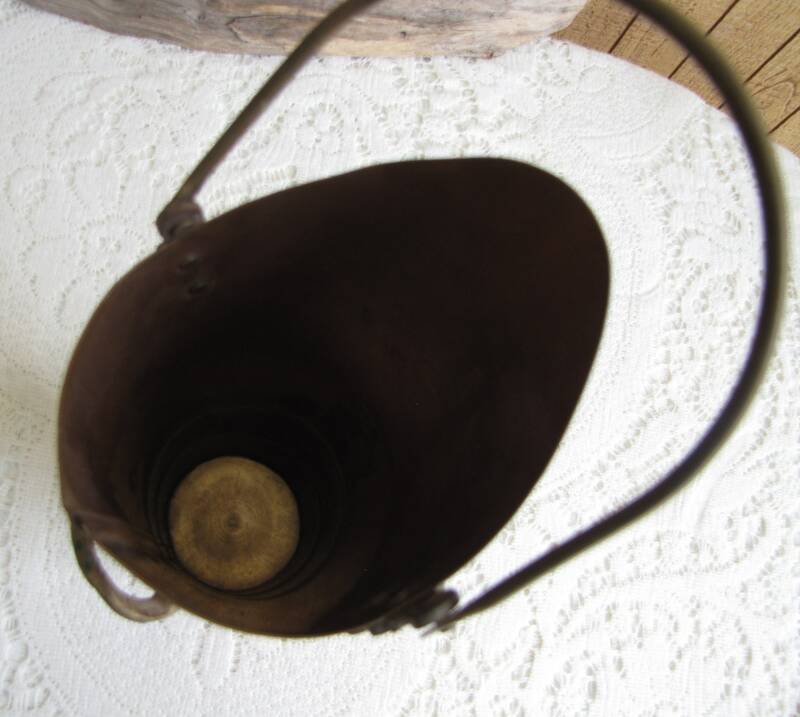 It is 3 inches in diameter. 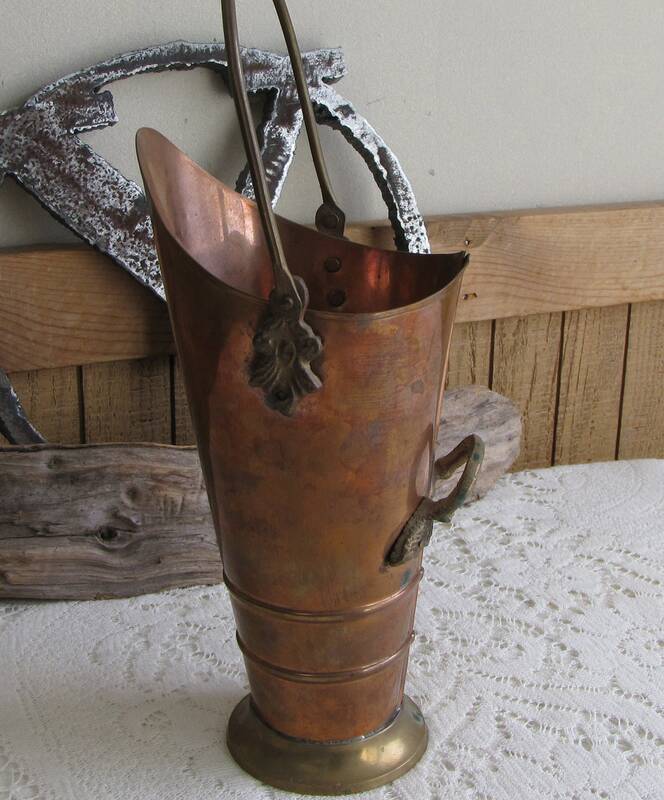 The piece is a reproduction made in the 1980s. 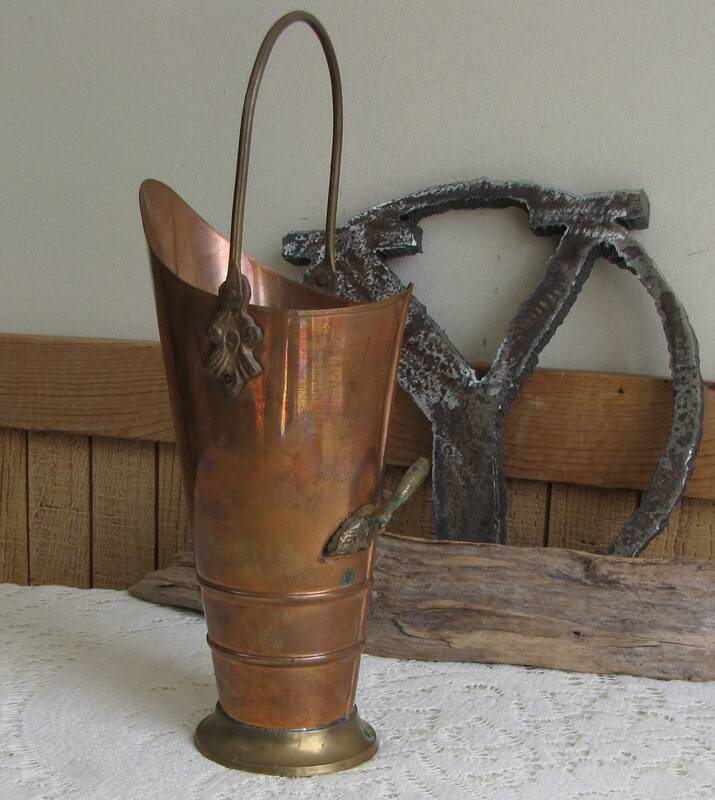 It belonged to Jim’s great-aunt Muriel Pfingston. 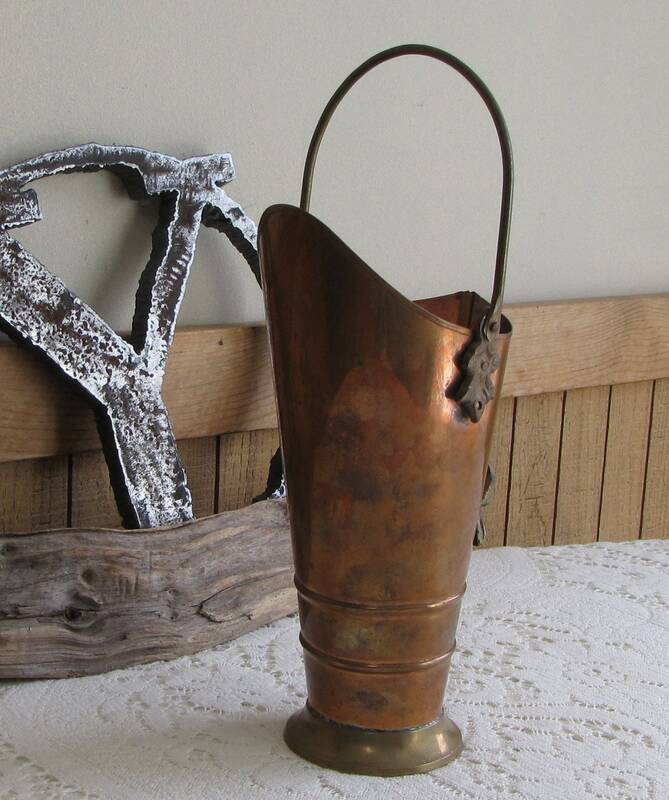 There is a small gift card that is dated 1985 to Horton and Muriel, from their niece Cassie.